This is a Fiesta Full wheel cover for 14 inch wheels. These classic Fiesta hubcaps launch your steel wheels into the fifties in grand fashion! This Fiesta Full wheel cover creates great motion when spinning its three bar design down the avenue. Fits 14" wheel only, please check your actual wheels required cap fitment size. 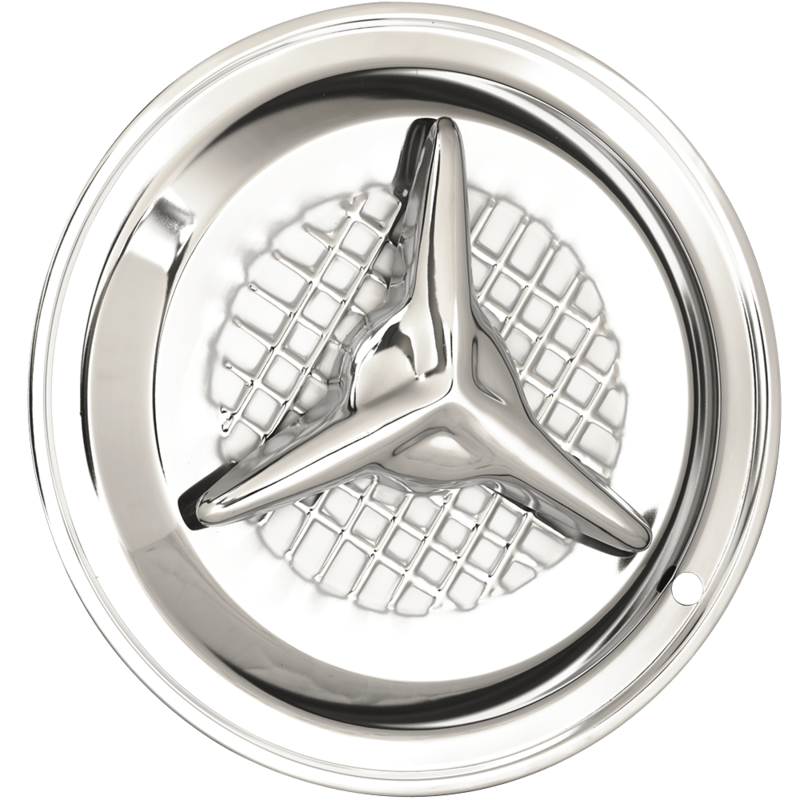 Coker Tire Company offers a huge selection of hubcaps wheel Covers and trim rings. Yes, these should fit any standard, OE style 14" steel wheels.